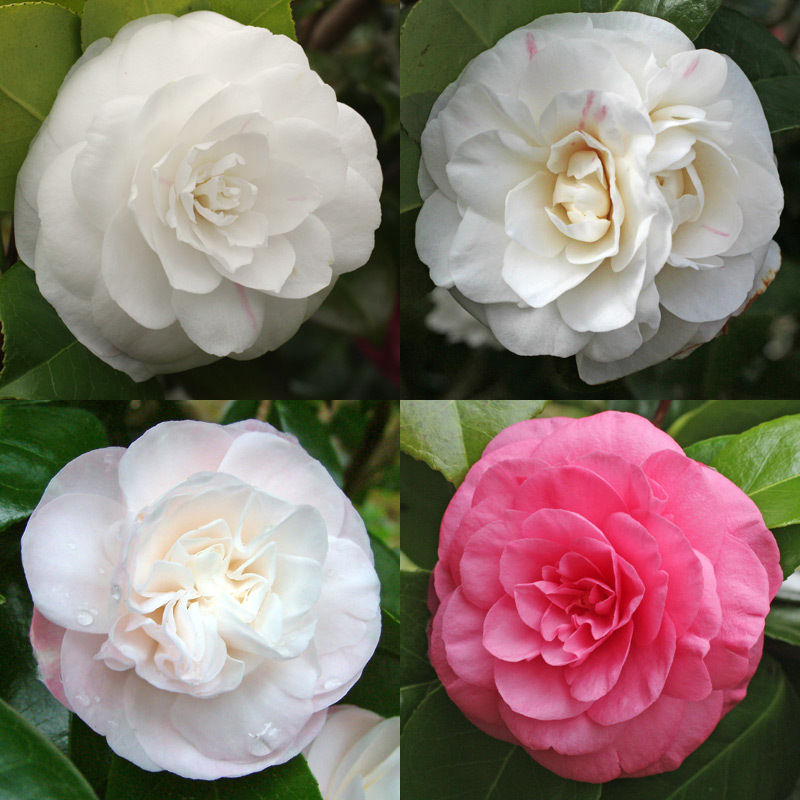 Camellia japonica ‘Jovey Carlyon’. Spreading and untidy bush with large round leaves. Flowers usually white, with occasional pink blush or stripes and rarely, an all pink bloom. Petals strongly reflexed back.